Travel back in time to the roaring... 1910s. It's that time of year again. Everyone is putting up lights, setting out cookies, and blasting their way through another menacing horde of the undead. Call of Duty: Black Ops 4's "Zombies" mode continues the franchise's long line of co-op wave-based combat, and the latest map is now available. Titled "Dead of the Night", it focuses on a 1912 gala in which all but four guests have been mysteriously converted into undeath. Naturally, those four remaining souls must survive by using their wits, reflexes, and arsenal of conveniently placed weaponry. 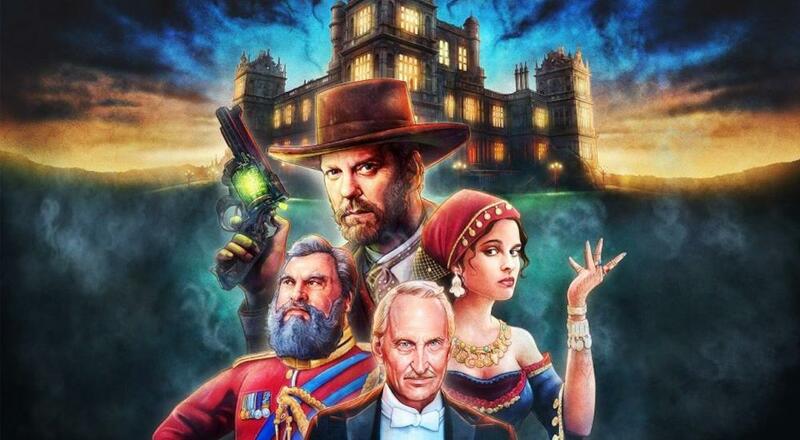 As is tradition, these new characters are voiced by celebrity talent, namely Charles Dance, Kiefer Sutherland, Helena Bonham Carter, and Brian Blessed. The map itself serves as a prequel to the "Voyage of Despair" and features an aesthetic mashup of art nouveau and gothic sensibilities. A "Zombies" map without, well, zombies isn't much fun though, which is why this new scenario throws undead partygoers, werewolves, and swooping vampire bats at its unfortunate heroes. "Dead of the Night" is only available as part of the Black Ops Pass, so if you're interested, you'll have to nab the whole thing as opposed to individual purchases. Black Ops 4 and its four player online co-op is available on PlayStation 4, Xbox One, and PC. Page created in 0.9083 seconds.